You'll be £4.99 closer to your next £10.00 credit when you purchase Foul Deeds & Suspicious Deaths around Worcester. What's this? 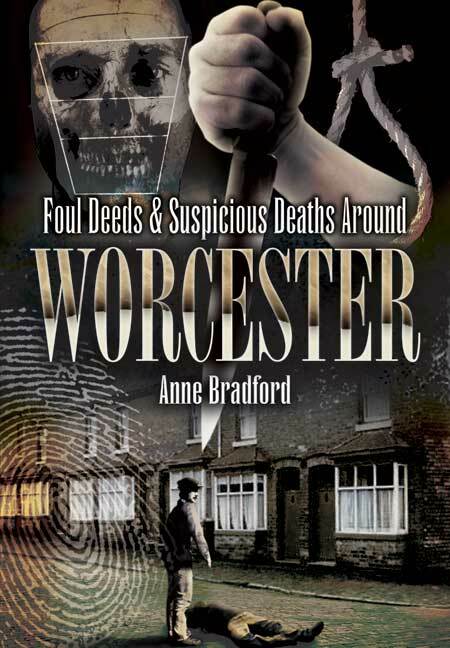 The criminal cases vividly described by Anne Bradford in this gripping book take the reader on a journey into the dark secret side of Worcester's long history. This cathedral city has been the setting for a series of horrific, bloody, sometimes bizarre incidents over the centuries. From crimes of brutal premeditation to crimes born of passion or despair, the whole range of human weakness and wickedness is represented here. There are tales of forgery and betrayal, highway robbery and murder, riots and repression, public executions and instances of extraordinary domestic cruelty and malice that ended in death. The human dramas the author describe are often played out in the most commonplace of circumstances, but others are so odd as to be stranger than fiction. This grisly chronicle of the hidden history of Worcester will be compelling reading for anyone who is interested in the dark side of human nature.